What is the Woodbury program? In an effort to help residents save money by saving water, the city of Woodbury has created the Smart Irrigation Controller Program. Through this program, the City of Woodbury purchases WaterSense-certified smart irrigation controllers in bulk and sells them back to residents for a discounted price. Through this program, Woodbury residents can enjoy worry-free watering with the Rachio 3 Smart Sprinkler Controller. Exclusive for residents of Woodbury, Rachio is offering a special $20 discount on the Rachio Wireless Flow Meter, which works exclusively with the Rachio 3 to protect your landscape from leaks and stop them in a minute or less. Cutting-edge Rachio Wireless Flow Meter technology monitors outdoor water-use, halts costly leaks and protects your landscape from damage. To receive this special offer code, please contact water@woodburymn.gov. Based on your location, we’ll select a default soil type. Soil in your area is mainly clay, but if you know that is incorrect, feel free to choose another option. Note: If you notice your lawn isn’t getting enough water, you may want to take another look into your soil type and adjust in the app. Create a new schedule that waters on odd/even days using the instructions below. If your home address is an even number, select “Even days”; if your home address is an odd number, select “Odd days”. When deciding when to run the schedule select "End Before" and choose 12:00 p.m. Please note, you can only have one "End Before" schedule per controller. 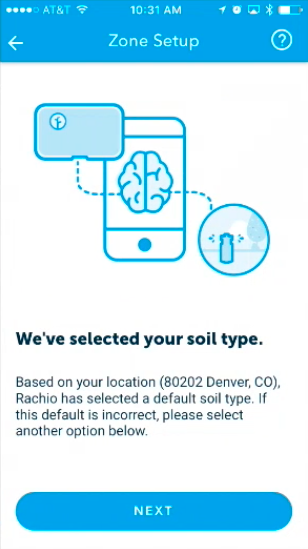 Rachio’s Weather Intelligence consists of different features that act as weather triggers to skip the watering schedule or adjust watering durations. The schedule creator enables all of these settings by default. You’ll want to choose your preferred weather station in order to get the most accurate Weather Intelligence for your location. You can read more on Weather Intelligence here. 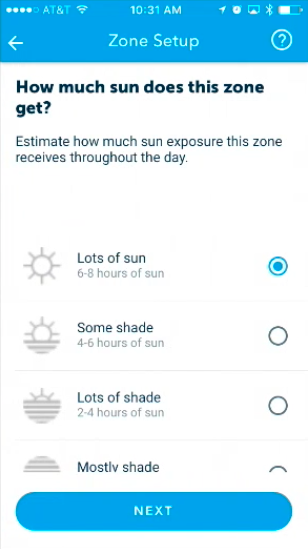 In the Rachio app, select the More tab. Then, select Weather Intelligence Plus. Right below the map, select the listing under "Weather Data Source". Once on the Edit Weather Station screen, select "Weather Station" and then choose the station closest to your home. To switch back to Weather Intelligence Plus, simply select "Weather Network" instead of Weather Station. What type of information do Weather Stations provide Rachio? These weather stations are a part of a larger weather service that provides Rachio weather forecasts as well as actual reporting that helps our Weather Intelligence feature decide whether or not to run your schedule. Which Weather Station should I choose? To start, you’ll want to choose the weather station closest to your home - you’ll be able to tell how far away each station is when you’re choosing your weather station by following the steps above. Keep an eye on your station - if you notice that it’s not forecasting or reporting weather correctly, try another station to see if it’s more accurate. Personal Weather Station. Personal Weather Stations are usually run by a neighbor or someone in your area. They tend to be more local and timely, but can be less reliable. When the PWS feature is toggled on, we will most likely begin pulling our data from a PWS, as these are generally closer than NWS. If a PWS goes down for a certain period of time, we will immediately gather data from the local national service. We will never be gathering from both at the same time. We ask that if you toggle the PWS option on, please review your weather and water delays to see if they are accurate. If you believe the data is wrong, please don't hesitate to reach out to us at support@rachio.com and we will be happy to research our database and reach out to our weather provider with any issues. A rain sensor provides additional real-time information to stop your controller from running if it is scheduled to run during an unexpected rain event. As long as you’re using the Wi-Fii information on this controller, you are compliant with local and state requirements for irrigation systems, and a rain sensor is optional. First, disconnect power to your Rachio controller by unplugging it from the wall. Next, locate the sensor terminals on your controller. Those terminals are labeled S1, S2 24VAC-, and 24VAC+. Attach the sensor control wires directly to these terminals (in any order). Reconnect power to your Rachio controller by plugging it back into the wall. 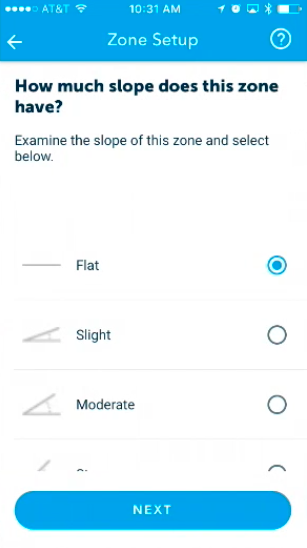 In the Rachio app, select the More tab then click Accessories. Select the terminal that you connected your sensor to; S1 or S2. Toggle the sensor on to enable the sensor and select “Rain” as the type of sensor you’ve added. All participants are asked to complete controller installation within a month of their pick up date, weather depending, and send a photo to water@woodburymn.gov.